We did it! Together we are one step closer to making America not only great, but safe again. Against all odds, Donald J. Trump has won the presidency. Donald Trump was so driven throughout this entire election cycle. Even when members of our own party fought so hard against him and tried desperately to keep him from obtaining the White House. He did it, we did it. After countless personal attacks by most main stream media networks, character assassination plots from the left, Never Trumpers, and even Republicans, he won. We not only have the American people to thank for this victory, but some major players too. Kellyanne Conway, she went from being a pollster to being what could be called the greatest presidential campaign manager in history. Kellyanne is also the first and only woman to manage a victorious campaign. 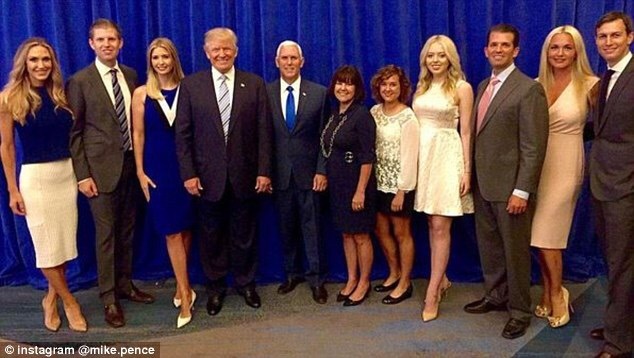 Ivanka Trump and the entire Trump family have supported Donald Trump since day one. The amount of love Ivanka Trump has shown for her father throughout all of this, speaks volumes about the kind of person Donald Trump, and the entire Trump family is. Ivanka Trump and Kellyanne Conway have shown women that they can do anything. Hillary Clinton did not lose because she is a woman, Hillary Clinton lost because Donald Trump has better policies, character, and a stronger love for his country. Hillary Clinton says her glass ceiling still has not shattered. We say, it was not only shattered, but has been obliterated by the women who have helped Donald Trump become our President-Elect. Ivanka and Melania Trump, and Kellyanne Conway have shown the women of America that they can succeed. Melania Trump will go down in history as by far the most beautiful, elegant and graceful First Lady, America has ever seen. She is the epitome of class, and that, is who the young women of America should look up to. We also have Michael Pence to thank, he brought out the calmer side of Donald Trump. Mike Pence will be a truly great Vice President of the United States. In a way, we have the Democratic Party to thank as well. Their actions and behaviors are part of the reason Donald Trump is our new President. After months and months of being called every name in the book, being called racist, sexist, homophobic and islamophobic, we , the Basket of Deplorables are victorious. After losing friendships, maybe even family members, we are victorious. We will proceed to the White House with nothing but the utmost level of class, respect, and dignity. With that being said, we must not succumb to the liberal ideology of name calling, and personal attacks, we must stay true to the conservative ways and be grateful and respectful, even to those with whom we disagree. On January 20, 2017 our President, Donald J. Trump and Vice President Michael Pence, will take office, and they will Make America Great Again.